On Friday, July 13, the Philadelphia Mausoleum of Contemporary Art will host ERASERHOOD FOREVER, an art show/celebration held in honor of the building’s new Eraserhead mural (south-side exterior). The neighborhood north of Center City that houses PhilaMOCA is often referred to by a variety of names: Callowhill, the Loft District, West Poplar. 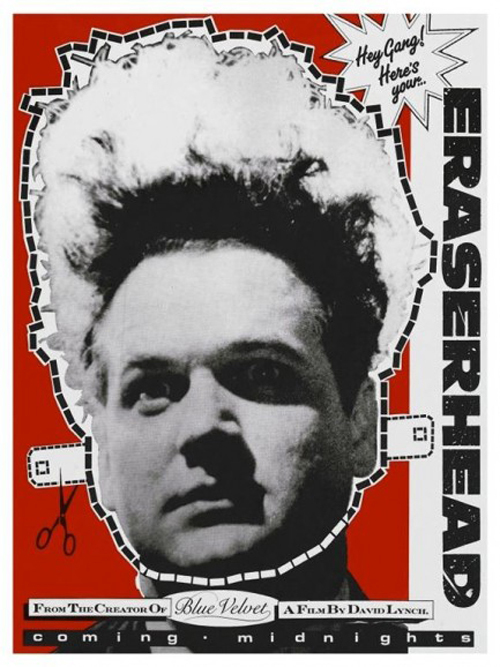 But for many Philadelphians it will always be known as the Eraserhood, an affectionate nod to the area’s presence in Eraserhead as well as the greater impact that the environment had on the career of director David Lynch. Disturbing yet humorous, dangerous yet comforting…these are the contradictory words often associated with Lynch’s work and are easily applied to PhilaMOCA as well. Art reception at 6pm; performances start at 8:30pm. Refreshments courtesy of Narragansett Beer Co. and Red Bull.